Tales of the Flowers: Happy 90th Birthday Mickey Mouse! 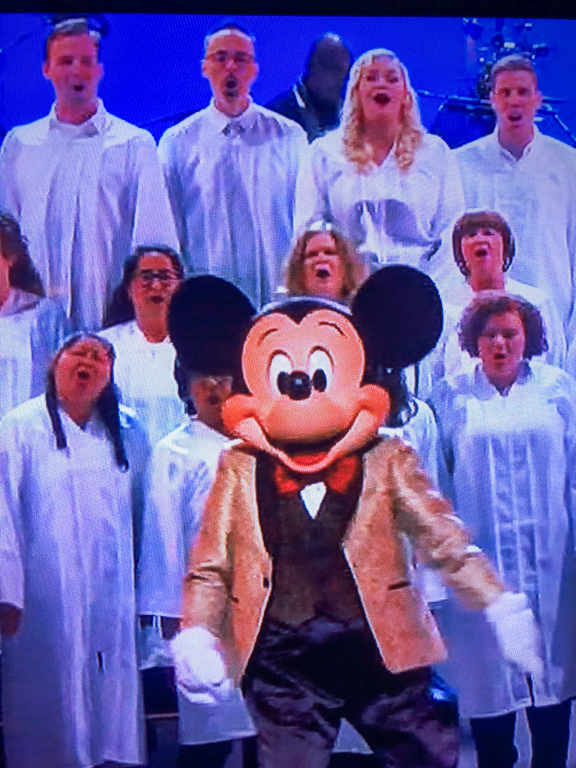 Last Sunday, ABC aired a celebration of Mickey titled Mickey's 90th Spectacular. 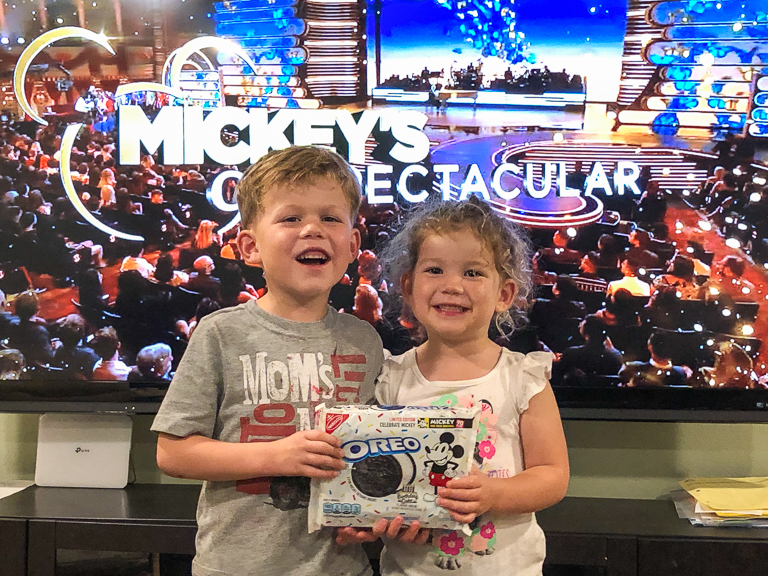 I also made sure to pick up a bag of the new Mickey Mouse Birthday Cake Oreos to celebrate. 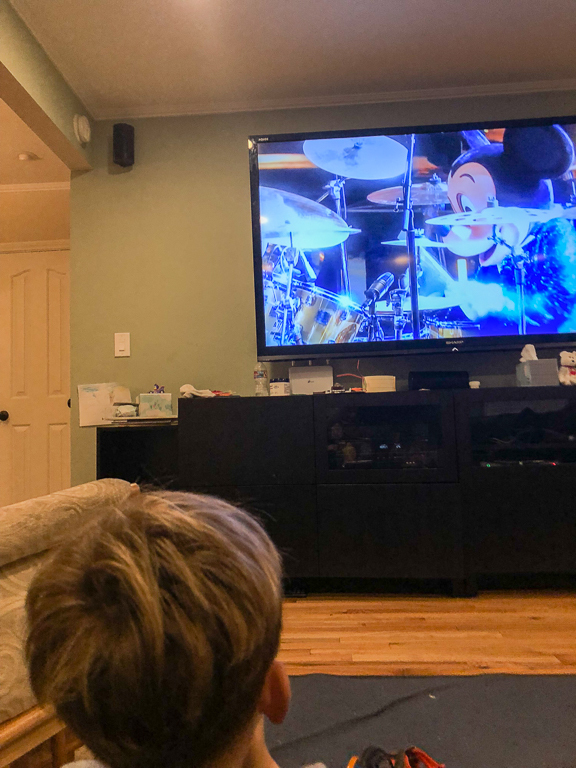 The kids enjoyed watching the show and hearing the songs, but they were shocked that Mickey was just sitting there and not doing anything. Someone would be singing him a song and Mickey is sitting on the couch just watching. 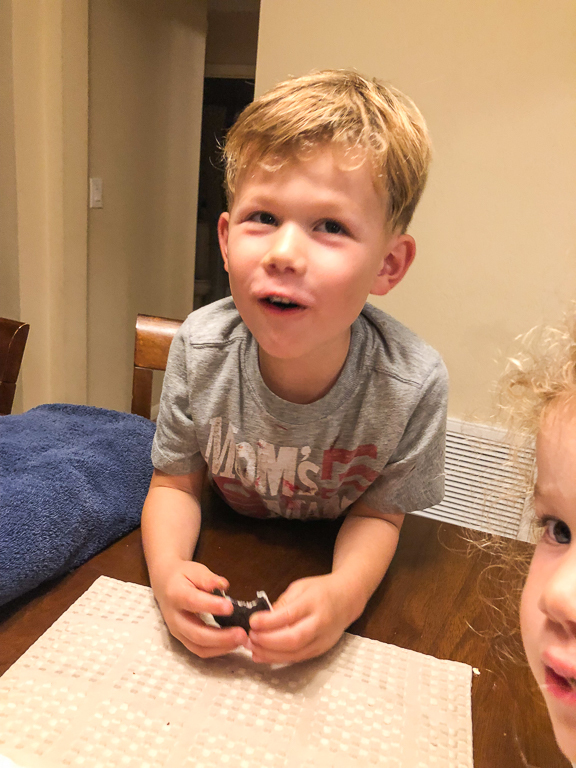 Ian and Alli - "Mickey's just sitting there" (repeat every 30 seconds). So when Mickey finally played the drums they were happy. And they like having a famous Uncle too. Ian was the first to spot Ruston singing, center stage right behind Mickey Mouse. I've only got this photo I took of the TV from it. Hopefully someone posts the full song online. I had wanted to get a picture of them in front of the TV with the Oreos, so I grabbed the piano bench and put it in front of the TV. I put them on top and grabbed my camera. Well I guess after a night of watching everyone say how much they loved Mickey, they felt like they needed to do it too. I wasn't expecting it, so I was only taking pictures. It was too adorable though, so I had them repeat it. As Alli said, let's eat some cookies! And why not turn it into a mini taste test too. There's a couple seasonal flavors we haven't tried yet this year. First up are the Mickey Birthday Oreos. 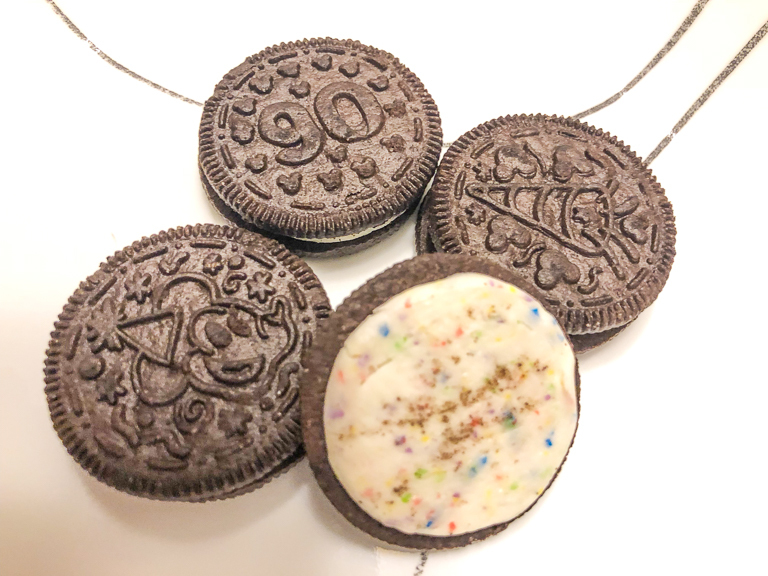 There's 3 new cookie designs to go along with the birthday cake confetti filling. Ian thought they should have popping candy in them for an extra special celebration. I think that would have been fun too. As it was, they tasted like birthday cake icing, which I think is a good thing. 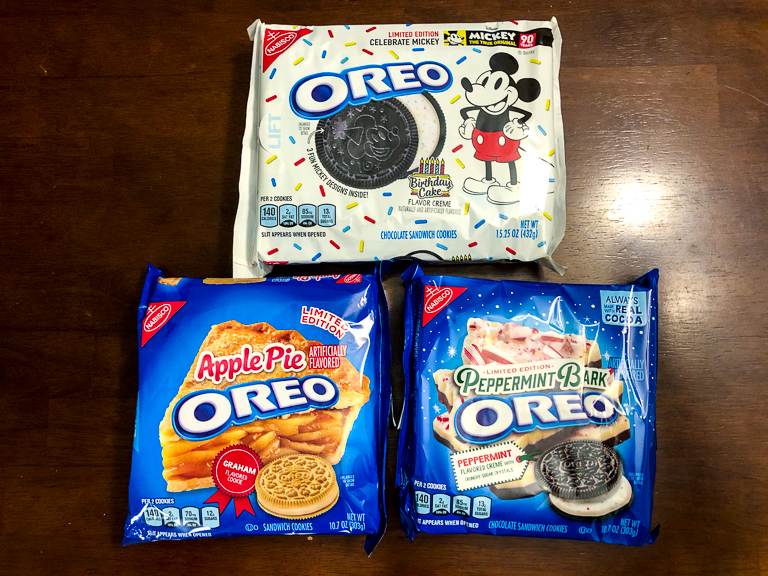 Next were the Apple Pie Oreos. I thought they were tasty. Glad they tasted like really apple pie and not green apple candy or anything like that. 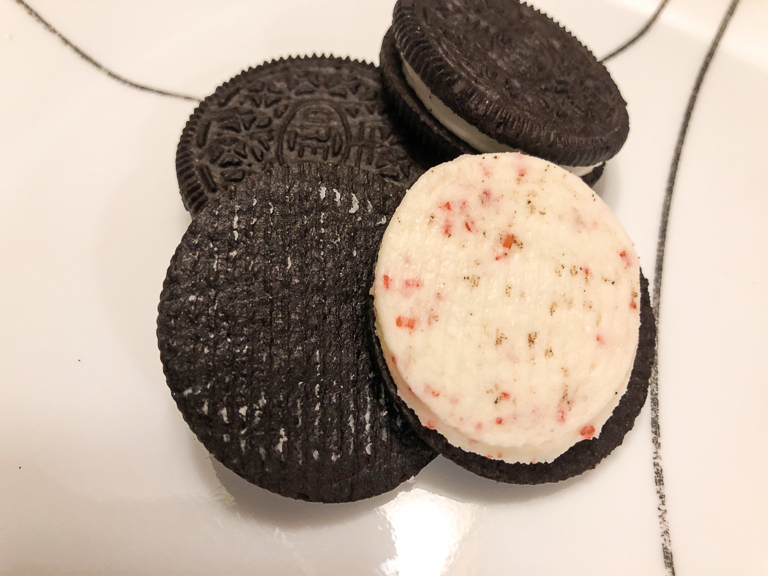 I remember I heard the announcement earlier this summer that peppermint bark Oreos were arriving for the holidays. 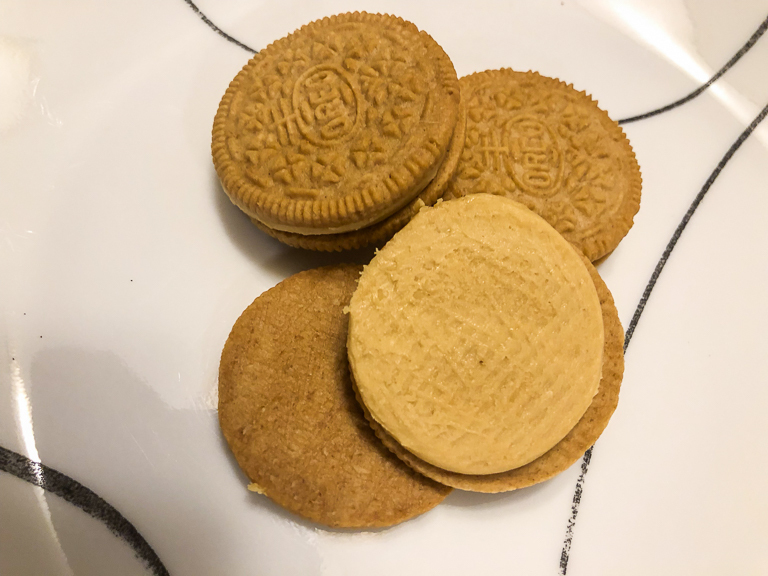 Out of all the recent Oreo combinations, this one excited me the most. Can't go wrong with Peppermint and Chocolate. And they were delicious. My only complain with the execution of them was that there wasn't enough peppermint pieces and the pieces that were there were too small. I want something I can crunch! 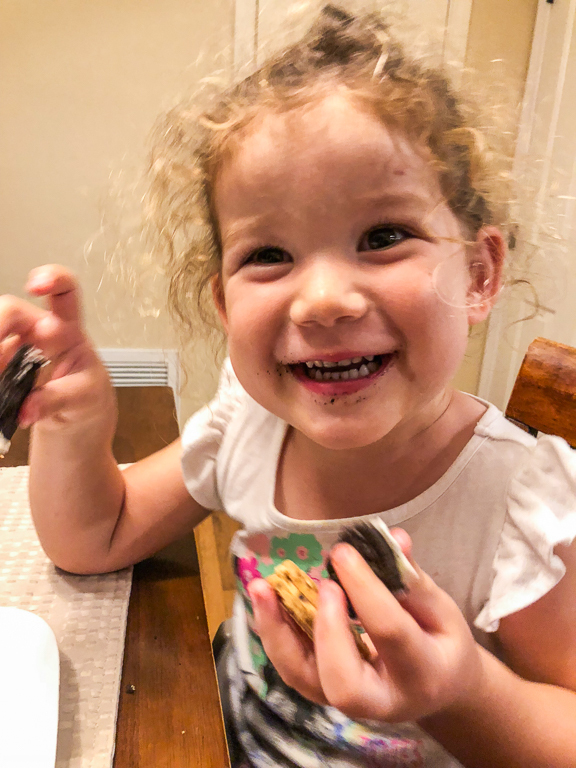 Someone is happy with her Oreo taste test. Holding all 3 cookies in her hand at once. It's so random that I came across your blog and have been reading your posts and then I see this! I was in the 90th Spectacular as well!! I was one of the models on stage during Minnie Mouse's "fashion" segment! I'm so happy your kids enjoyed the show. Very cool! Now I'm going to have to rewatch it.